My desert rose is in full bloom, and it's beautiful. My green thumb has faded a bit this year; my disease resistance knock-out roses have a disease, my oak leaf hydrangeas have black spots, and my Japanese maple died. 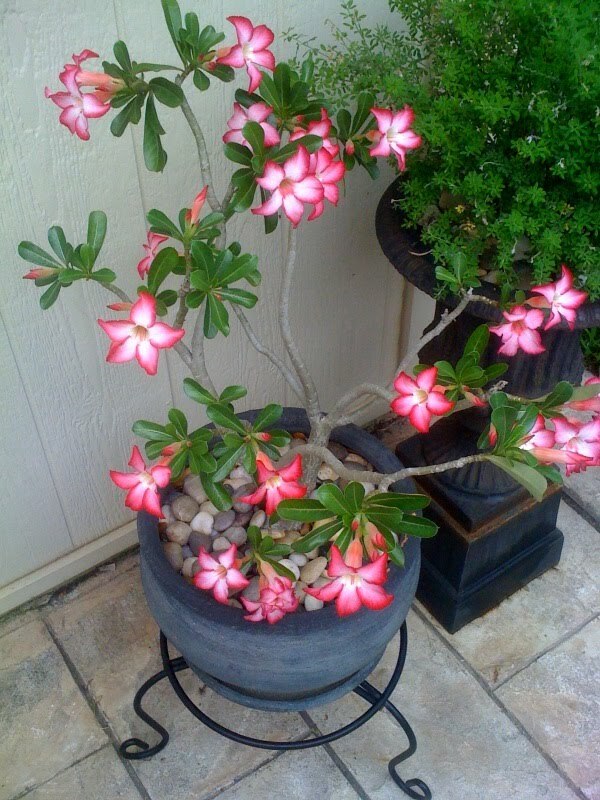 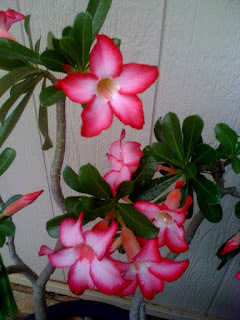 However, my desert rose is as beautiful as ever.